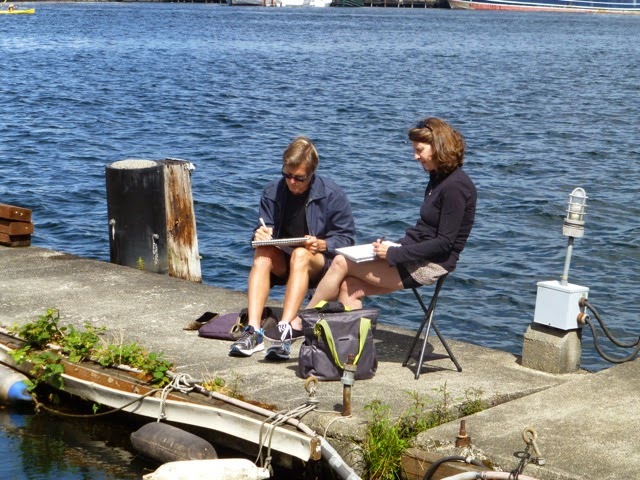 Urban Sketchers Seattle: Rick & Joyce Miner's Floating Home. Rick & Joyce Miner's Floating Home. 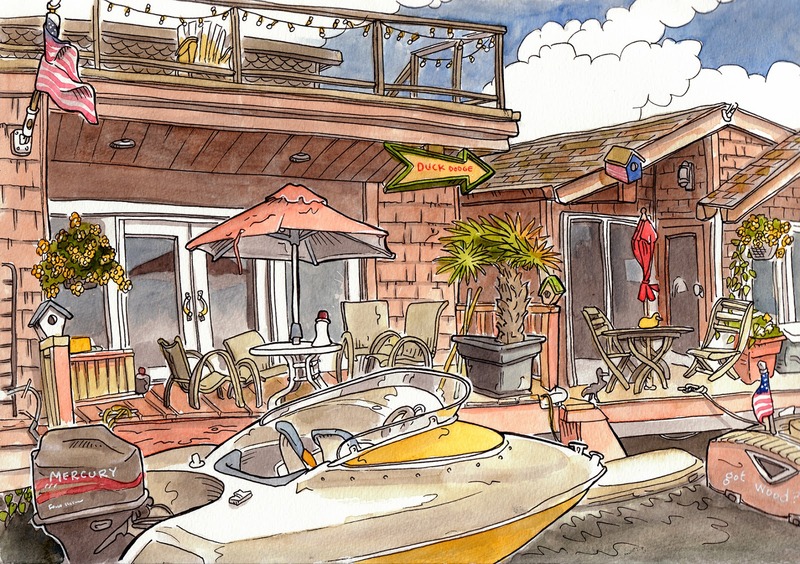 It was a fun challenge drawing this scene (I added the color at home) on a rocking and rolling dock. Each time a yacht or tour boat went buy we wobbled, and I didn't realize until too late that my satchel and its contents were soaking in lake water. As we drew, the owner, Rick Miner, came out and used the megaphone (seen on the table in the picture) to yell at some party boaters to slow down because the wake was slopping all over. He came out and introduced himself and we exchanged cards. Nice guy! Check him out at Duckin.com.